Located in Burlington, Vermont, the 440-acre campus is incredibly picturesque. The beautiful buildings and striking landscapes of the campus are located 30 minutes from ski slopes, 2 hours Montreal, and 3 hours from Boston. Currently, Saint Michael’s has about 2,000 undergraduate and 370 graduate students enrolled. With an average class size of only 19 students and a student to faculty ratio of 11:1, the college works to maintain an intimate learning environment. This kind of atmosphere is perfect for the proactive student, looking to make and sustain great relationships with peers and instructors. In addition to the 36 majors and 36 minors available to students, Saint Michael’s also offers an Honors Program, independent research programs, and many internship opportunities. About 98% of students take advantage of on-campus housing, which consists of over a dozen residential halls and student apartment buildings. Moreover, campus housing is guaranteed to all students throughout the course of their college experience at Saint Michael’s! Getting involved with the booming school spirit is a breeze at Saint Michael’s! With over 40 student organizations, 28 intramural sports teams, and 21 varsity teams competing in NCAA Division II, every student will be pleased. Some other fun facts about Saint Michael’s are that about 75% of students choose to take part in some kind of service or volunteer work while in attendance, the Edmundite Campus Ministry is readily available and welcoming to all students and, as a “Green Campus,” the college takes its desire to be ecologically responsible very seriously! 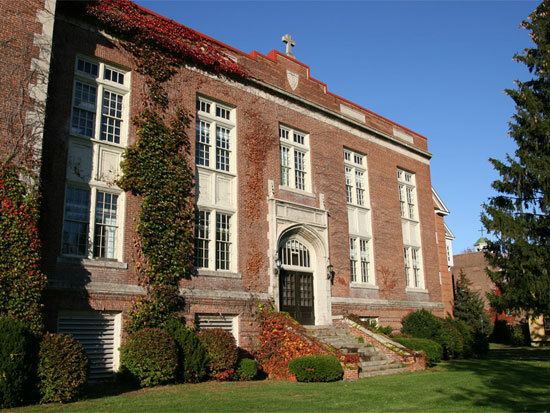 If you are a motivated and enthusiastic student, looking for an intimate, hands-on, service-focused educational experience, founded on the values of the Catholic faith, Saint Michael’s College may be perfect for you!